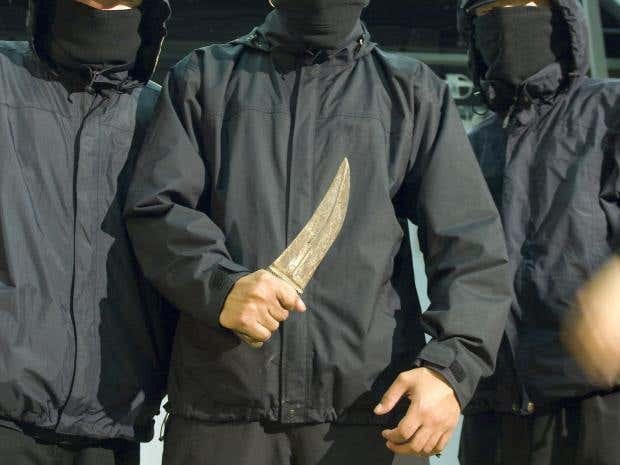 There have been more than 4,000 additional knife crime incidents under Khan than under his predecessor, a rise of 31.3% and Sadiq Khan has decided to spend a derisory amount of £1.4 million to try and help solve the problem. This dwarves into comparison the near £34 million he has allocated to Green projects and £6 million for new toilets. What is even more incredible is where he has decided to allocate this £1.4 million and it is certainly not for additional policing! Mayor Khan has pledged £49,736 to the Croydon Black and Minority Ethnic Forum to help 'deliver training and support to five grassroots organisations who provide activities for people affected by knife crime in Croydon'. The Somali Relief and Islamic cultural centre will benefit to the tune of £6,337 'to deliver five community consultation events for 100 Somali parents and young people in Southwark to raise awareness of knife crime'. Hammersmith and Fulham Anti-Tribalism Movement is also set to receive a windfall of £31,173 for the Anti-Tribalism Movement which is intended to stop 'anti-social behaviour affecting young Somali men living in London.' There are numerous other awards to community groups representing 'ethnically diverse' areas with next to nothing being spent on arresting or charging those responsible for the crimes themselves and punishing them accordingly. Some brief statistics on Mayor Khans tenure so far- Murder up 27.1%, youth murder up 70%, youth violence up 19%, robbery up 33.4%, home burglaries up by 18.7%, gun crime up by 16.3%, theft up 33.9%. Do you think this represents the correct spending priorities? Read: "Angela Merkel is set to change the face of Europe FOREVER with this new policy"
Read: "Scandal ERUPTS over EU countries scheme to force a 2nd Brexit vote"